Well you asked for it…..and its here! We now have a deodorant anti-perspirant to join the range! And the praise has been high since it was unveiled at Glambassadors! I’ve had a few of my lovely customers trial it for me and this is what they’ve had to say….. Categories: Bodycare | Tags: against animal testing, Anti-perspirant, Deodorant Cream, Deodorant., Feel Fresh Deodorant, New products, paraben free, Tropic, Vegan Deodorant | Permalink. So this weekend saw me travelling down to Birmingham again for our twice yearly Glambassadors event! With my glambuddy Tine! This time we were in a new venue, The Vox Conference Centre. Excited as ever for the launch of our new season products & catalogues. Its always a busy, fun weekend but nice to be able to catch up with other team members as well as my lovely Manager who I would be lost without! It was great to hear the inspirational talks from our founder, the gorgeous Susie Ma plus of course Lord Alan Sugar (our co-owner) it always gives me a renewed dose of motivation! But to be honest 2 years on I still LOVE Tropic as much as I did on day one. Really excited to show you our summer season NEW products as well as the return of some favourites so watch this space! 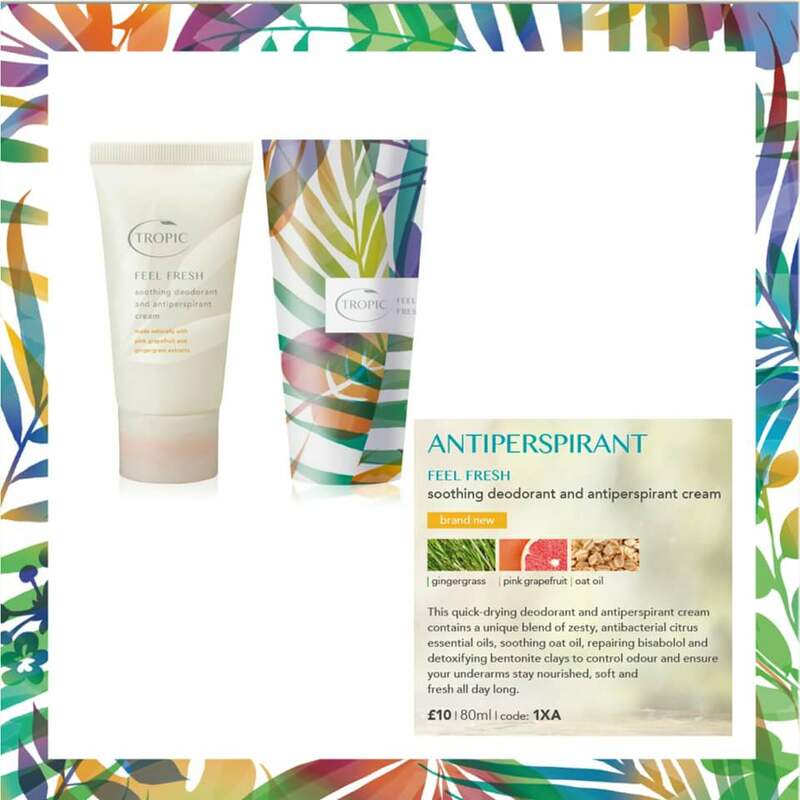 Categories: General | Tags: Become A Tropic Ambassador, lord sugar, New Catalogues, New products, new season, Susie Ma, The Vox, tropic skincare | Permalink. You still have time to catch delivery if you order today! Categories: Cosmetics, General, Skincare | Tags: Mothers Day, natural cosmetics, natural skincare, Tropic, tropic skincare, vegan cosmetics, Vegan Gifts, vegan skincare | Permalink. Know someone who loves makeup? Our Complete Contour Collection is a must-have gift for all cosmetics fans! Containing a Sculpting Palette of your choice, our Bamboo Angled Brush and Bamboo Blush Brush, no makeup routine should be without its contouring essentials. Create the cheekbones you’ve always dreamed of with this stunning, easy to use gift collection. Make a total saving of £20 when you buy our Complete Contour Collection for just £36! Categories: Cosmetics | Tags: Cheekbones Sculpting, Create Sculpted Cheeks, tropic cosmetics, Tropic Makeup, Tropic Sculpting Palette, Vegan Beauty, vegan cosmetics | Permalink. Im looking for 5 more ladies to join in the fun with me this year that will almost double my current team 😊…There are so many areas of the UK still to cover! If it’s not for you maybe you know someone who may be looking to earn a few extra pennies for treats, days out, new car, kids at uni, holidays.? Categories: General | Tags: Jobs for home, Mumpreneur, Tropic Ambassador, Tropic Goals, Tropic Manager, tropic skincare, Work from Home | Permalink. Treat your loved ones or yourself to the complete range of our stunning freshly handmade, award-winning skincare. With everything you need to cleanse, tone, exfoliate and truly indulge, our most luxurious collections are the answer to your gift list this season. Our collections come beautifully wrapped and boxed, so all you have to do is sit back and let these gorgeous products work their magic. Categories: Skincare | Tags: Tropic Free Delivery, tropic skincare, Valentine's Day, vegan skincare, Vegan Valentines | Permalink. But only until midday on 12th February so be quick! Categories: General | Tags: Tropic, Tropic Free Delivery, Tropic offers, tropic skincare, vegan skincare | Permalink.